Ranked among the top ten Russian oil producers and value creators, Bashneft is clearly going places—and with the prospect of a London listing around the end of next year, it will surely bring the name to everyone's attention, and in doing so, put Bashneft firmly on the international map. Owned by Sistema JSFC, it is no surprise to learn that the vertically-integrated oil company is preparing for an IPO. Based on an analysis of total shareholder return at 1,616 global companies for the five-year period from 2008 through 2012, the 2013 Value Creators rankings* by the Boston Consulting Group recognise Bashneft as the only Russian company in the top 10. With average annual sales growth of 39% and total shareholder return (TSR) of 52.7 percent, Bashneft also impresses by being number one in the Oil Top 10. Furthermore, by the time the company starts trading on the LSE, Bashneft will have completed a 6.5 billion rubles reconstruction and re-branding program across over half its network, which currently stands at 497 stations in five regions of Russia. "It is great to see Basnheft emerge with such vitality. Ultimately our job is to deliver value on design investment. A great design can facilitate revenues far exceeding client expectations with impressive margins both on and off-the forecourt." 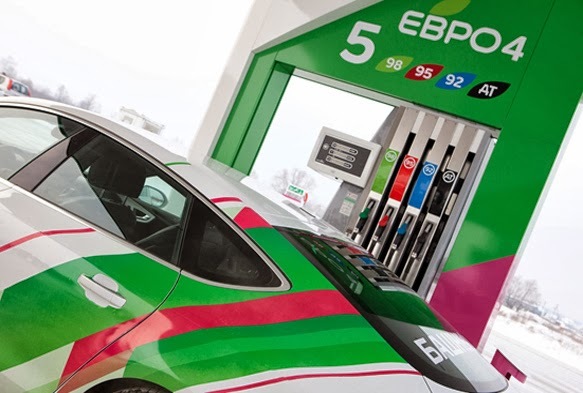 "Our branded forecourt and c-store design solution is part of a wider programme of reconstruction and modernisation and the Board of Directors and others involved in its implementation also deserve full credit. A few years ago, only a minority in the West had heard of Bashneft, or indeed the economic potential of Bashkoria. Now the brand is clearly on the map — and increasingly on the lips of investors."